Plus good pubs and loads of history. PEOPLE HAVE BEEN making Balbriggan home for thousands of years. During the construction of one of today’s housing estates, an archaeological dig uncovered a Neolithic house upwards of 4,000 years old. And the passage tombs north of the town at Bremore are thought to be older than Newgrange. Its natural harbour made it an obvious settlement for fishing. But the town’s industrial and commercial growth was founded on… pants. It became a centre for cotton manufacture from the 1700s, and local firm Smyth and Company sent undergarments around the world. In the US, long johns were nicknamed Balbriggans. Queen Victoria kept her bottom warm in Balbriggan stockings. In the early 20th century, Balbriggan’s extensive beaches were a holiday getaway for Dubliners. Its population has exploded in the last few decades with the construction of new housing estates, and this continued into recent years – in the 2006 and 2011 censuses it was among the fastest-growing towns in the country. It’s also one of the most multicultural, with some 31 per cent of the population made up of non-Irish ethnicities. Take me there! OK, here you are on Bridge Street facing into the commercial heart of the town. But there’s much more to it than housing estates. 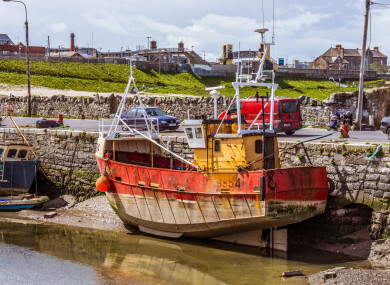 Balbriggan is an active seaside town – people speak of the commitment of local community groups, and the wealth of sporting and other facilities. Plus, to quote a local, “some of the best schools in the country”. Balbriggan was hit hard during the recession, and some residents are concerned that it has had a bad press over the years – “one-dimensional”, as one put it. It’s a lively place with a multicultural feel and the youngest population in Ireland. Loads of different clubs for sports, everything from soccer, GAA, rugby, martial arts, boxing. Close to loads of great tourist attractions. There are loads of local businesses in the town for shopping as well as a good selection of more established names in Millfield shopping centre. A golf course that is consistently ranked in the top 100 in Ireland. A lively community and friendly atmosphere, says Carol Maxwell of Real Balbriggan. The residents continuously volunteer to improve the quality of life here for everyone: both the families who have lived here for many generations and the different layers of ‘blow-ins’ from Dublin city, EU and further afield in more recent years. People are friendly here and stop to chat: it’s not anonymous like it is in Dublin. And the location, says Kim from local website Balbriggan.info. Our wonderful coastline and beach is great for walks and enjoyed by many residents not just on sunny days. Balbriggan has a wonderful fishing harbour and the seals follow the fishermen back to harbour when they are returning from sea. And… what do people NOT love about it? The heart of the town could still use some development, says Carol. If I could wave a wand over the bay and the main street, it would have more places for people to visit and families to enjoy: a sports centre and swimming pool (it’s a town big into sports), culture centre, arts and crafts shops, cafés, wine bars, restaurants. While it is being changed for the better, progress is slow. Give the main street a bit of a face lift. A number of places shut down during the recession and haven’t opened up. Slowly but surely it’s coming back but I’d definitely like to see it happen more quickly. The seagulls. There needs to be a cull. What’s the story with house prices? On average, some of the lowest in Dublin. The mean asking price of a property in Balbriggan is just under €206,000 according to Daft.ie. Drive just down the road to Skerries, and the average jumps to €388,000. How long will it take me into the city centre? It’s a 45-minute drive into central Dublin with the wind behind you. At commuter times though it’ll take a good bit longer – likely upwards of an hour. Balbriggan is on the 101 bus service, which takes just under an hour. However, the train will get you to Tara Street in a reliable three-quarters of an hour. Trains run every 10-15 minutes at peak times, then every hour or so for the rest of the day. Where should I get lunch? The Brick Room is a cafe by day, tapas bar by night. They serve fresh staples and good coffee. Alternatives: The Twisted Olive comes recommended for a lunchtime bite. They serve a varied menu with everything from sambos and salads to pizza, pasta and burgers. For something more substantial, try the Karma Thai. And what’s my new local? It’s a little outside the town, the Balrothery Inn is a former coach house that delivers good pints (and food). Try the beer garden on a sunny day. Alternatives: Closer to the heart of things, the Central Lounge provides excellent pints on the main street. Schools and supermarkets? There’s a giant Tesco Extra just minutes from the town centre, and a Dunnes and Lidl too. The main street also has a SuperValu. There are 10 primary schools in the area: Peter and Paul (Catholic, mixed, 465 pupils); St Molaga (Catholic, mixed, 450 pupils); Balbriggan Educate Together (multidenominational, mixed, 402 pupils); St George’s (Church of Ireland, mixed, 417 pupils); Balscadden (Catholic, mixed, 219 pupils); Baile An Ridire (Catholic, mixed, 341 pupils); Gaelscoil Bhaile Brigin (interdenominational, mixed, 478 pupils); Bracken Educate Together (multidenominational, mixed, 398 pupils); Scoil Chormaic (multidenominational, mixed, 493 pupils); and St Teresa’s (Catholic, mixed, 434 pupils). There are 5 post-primary schools: Balbriggan Community College (interdenominational, mixed, 501 pupils); Ardgillan Community College (multidenominational, mixed, 803 pupils); Loreto (Catholic, girls, 1263 pupils); Coláiste Ghlór na Mara (multidenominational, mixed, 125 pupils); Bremore Educate Together (multidenominational, mixed, 39 pupils). Anything else I should check out? The beach! Balbriggan is a beach town first and foremost. Its sandy beach stretches from the fishing harbour at one end to the Martello tower at the other, and is kept impressively clean by the local Tidy Towns group. Great walks in all seasons. OK, I’m sold. Give me one piece of Balbriggan trivia to impress a local. Other than the pants? OK: there’s controversy over the name Balbriggan. It comes either from Baile Brigín – meaning ‘Town of the Little Hills’ – or, more entertainingly, Baile Breicín meaning ‘Town of the Little Trout’. Do you live in Balbriggan? Share your opinion in the comments! Email “Your guide to Balbriggan: Seaside living in Ireland's youngest town (with a history of pants)”. Feedback on “Your guide to Balbriggan: Seaside living in Ireland's youngest town (with a history of pants)”.